Are you a computer programmer who lives and breathes algorithms and code? Do you have an excessive selection of books on all aspects of the subject, from PHP and C++, to HTML and Java (to name just a few!) in need of a sort out and declutter? 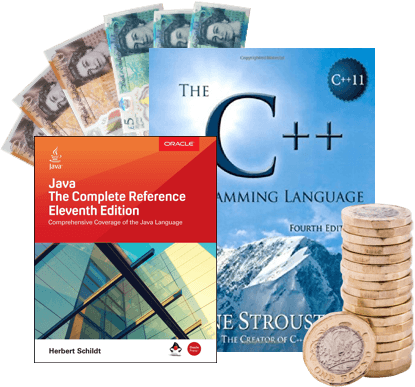 Well, what a coincidence… here at WeBuyBooks, we’re after used computer programming books and will offer you good cash in exchange for your unwanted copies! Sell your used computer programming books the easy way! 4) Get paid the very next day after we have checked your books! Sell computer programming books on the go with our mobile app! It transforms your phone’s camera into a clever scanning device, meaning you can get valuations for your used computer programming books whenever and wherever. So, even if you’ve got piles and piles of used computer programming books to sell, it won’t take you long to swap them for cash! 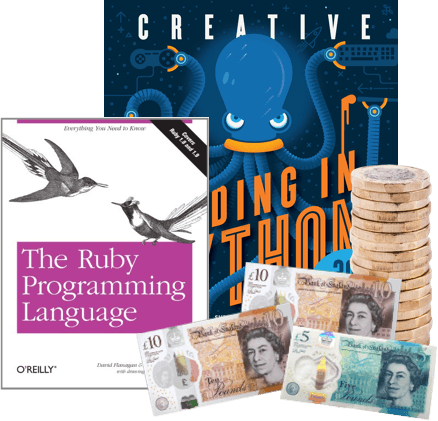 We know it might sound too good to be true, but we can assure you that no debugging is needed, it really is as simple as that… even the most dedicated of programmers will be itching to take a break from coding and start making some easy extra pennies. And you can hack the online selling system ever more by downloading the WeBuyBooks app. The app turns your phone camera into a scanning tool… just scan your books’ ISBNs to get instant valuations anywhere that’s got an internet connection – and these days, where doesn’t? Send your Computer Programming Books, DVDs, games and CDs to us and we’ll send you some money. Less clutter at home and more money – what’s not to love about that? So don’t wait – sell online today with We Buy Books. If you’d like some extra help, then please don’t hesitate to get in touch. Just give us a call on 01706 248281.